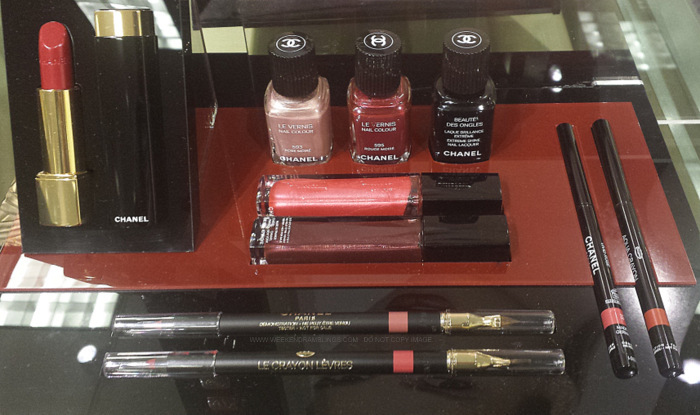 From the world of Le Rouge Chanel, a new colour range unveils a unique luster for lips. Experience eight luminous Rouge Allure Moire shades, inspired by the softly glimmering effects of silk moiré fabric. Radiant new shades of Le Vernis and Rouge Allure Extrait de Gloss complete the collection. I found the Chanel Rouge Allure Moire Makeup Collection at my local Nordstrom counter - became available today, according to the SA there. The makeup collection includes new shades of Rouge Allure lipsticks, 2 lip liners (Le Crayon Levres) and Aqua Crayons, and 2 new Rouge Allure Extrait de Gloss - Reflexion and Controversy. 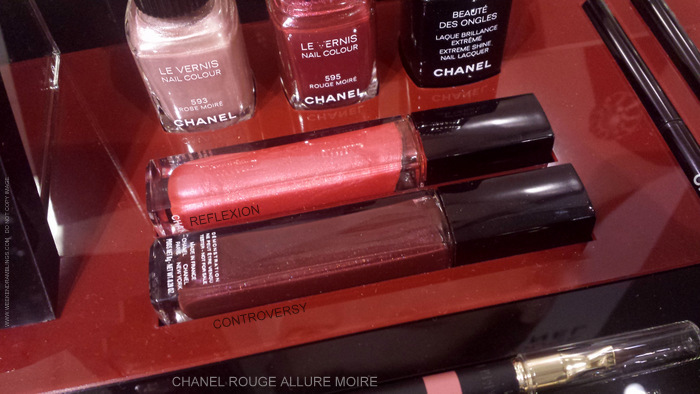 All included in the collection are 2 new nail polish colors - Rose Moire and Rouge Moire. Here's a look at some photos (in store lighting isn't the best) and some swatches. I didn't pick up anything from this collection, but my favorites definitely are the Le Vernis in Rose Moire and the lip liners/crayons. 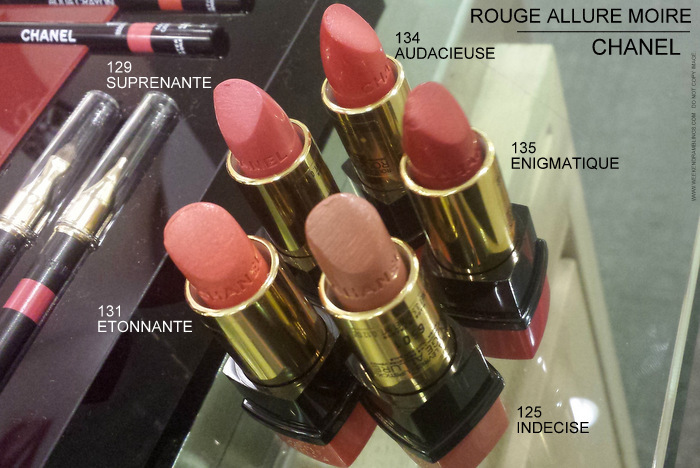 Chanel Rouge Allure Moire makeup collection is available at Nordstrom (in store and online) and also on the Chanel website. rads..i picked up an olive green nail paint from this collection..guess its not launched there..i liked the pearl pink one too..am yet to get a lippie or a gloss..